Live the life of a tiger and show how you will spend your day and pass your life in ferocious jungle where living a peaceful life is not as easy as city life. Enter the wild jungle and live as a wild Tiger to rule this large forest and hunt for prey. 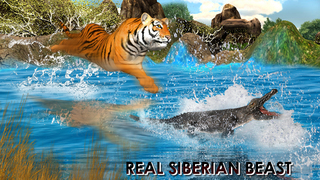 Play as a virtual wild tiger in this tiger simulator jungle hunt game. Its time for you to get wild and hunt your own prey in the jungle. Life in the forest is not as easy as life in the city. Here you have to enter the jungle in search of your prey. Simulate around in this big forest, enjoy running and hunting other wildlife animals. Be a wild beast and feed your hungry nature. 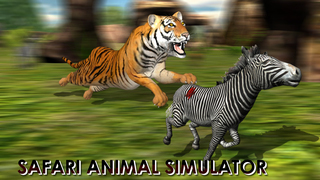 Hunt down animals like horse, deer, crocodile, zebra and elephant. Beware of giant crocodiles and elephant, they will attack you as well so you have to be ferocious to rave attack on them. You have to hunt alligator as well to live your life. Wild tiger jungle hunt is a 3d animal simulator game where you play as a hungry tiger looking for food.